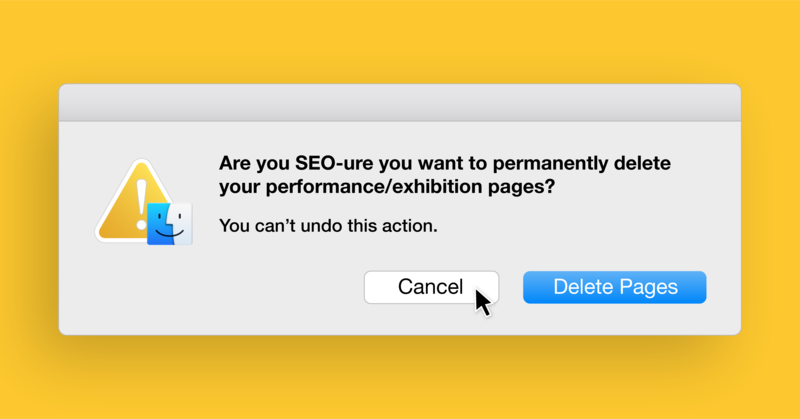 Deleting your performance pages hurts search engine optimization (SEO) performance. Past production/exhibition detail pages play an important role not only in a user’s experience with your website, but also from an SEO perspective. SEO is the process of increasing organic traffic to a site by enhancing a search engine’s ability to scan the bulk of a site’s content. Search engines use internal links to index pages (bots crawl pages and will follow paths through internal links to find new pages) and to share “link juice” (strong performing pages can share their strong SEO performance with weaker pages). So if you have internal links to broken pages, search engines think you’re trying to make this broken page index/rank and will punish you for trying to promote a poor page. Search engines also take performance metrics, like bounce rate, into consideration for SEO. Not only are broken pages a bad user experience, the increased bounce rate adversely affects SEO authority and thus page rank. Rather than deleting outdated production/exhibition detail pages from your site (which will negatively impact your SEO authority) or redirecting users to detail pages from the current season/exhibition (which can lead to a poor user experience), leave the pages intact and instead change the site navigation to these pages. You can create a Production/Exhibition Archive or History landing page which can be updated as each season or exhibition closes. This allows organizations to continue to get traffic from the previous seasons' productions and their SEO won’t be negatively impacted. You can even promote current season events on those pages. Keyword research can unveil critical opportunities to include keywords that are not only relevant to your website, but also have search volume. Google looks for popular content and intent (along with use of keywords in key places) across the site to determine when site pages should appear as a search result. When you’re thinking about including keywords on your landing page, take a quality-driven approach: Look at both domain keywords (keywords that can be incorporated when relevant in title tags, image ALT attributes, anchor text, etc. across the site), and content-driven keywords (more specific than domain-level keywords, the intent behind them is more targeted). It’s important to avoid “keyword stuffing” and to establish authority over a topic, rather than jamming as many keywords as possible. A title tag is a brief description of the page’s content which shows up on search engine results pages (SERP) as the link at the top of the listing, as well as appearing at the top of the browser tab in many browsers. They should be unique to the page, 60 characters or less, and include relevant keywords. Meta Description tags give a brief description of the page’s content and provide the copy that appears on search listings below the Title tag and URL. Meta Description tags should be no longer than 160 characters and each page on the site should have a unique Meta Description tag. No duplicates! Link building is often considered to be one of the most important components of SEO. Search engines value links to your site because they can act as third party validation. For instance, partnering with another arts organization and using relevant content to backlink to each other’s sites can be a great way to enhance your organization's backlinks. With new seasons and exhibitions on the horizon, you are now equipped to properly archive past detail pages and build new, SEO-friendly detail pages. 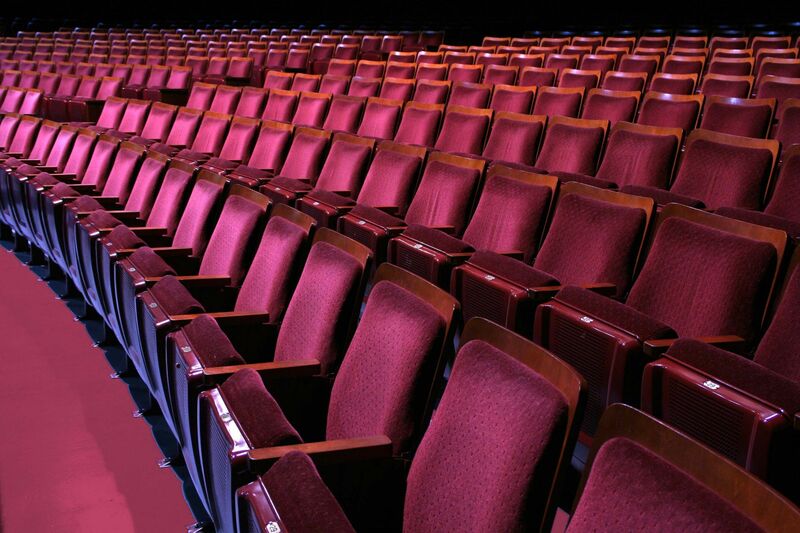 Build on and search on, arts marketers!